If you’re looking for the very best Vertex handhelds for your racing team, we’ve put together everything you need for both crew and driver communications. Our selection of Vertex standard handhelds are the very best UHF and VHF digital radios built for power and convenience. 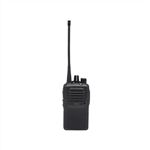 We have Vertex 2-way radios able to operate in both digital and analog modes with options for pre-programmed radios and complete radio kits. Vertex handhelds provide excellent sound quality with the versatility to deliver even under extreme racing conditions. Our Vertex radios are packed with features, easy to operate, and built to last. Fully compatible with other radio systems and easily rechargeable, these portable racing radios are perfect for professional and amateur racing. Shop our Vertex handhelds now to find the right radios for your team and enjoy our great prices & fast shipping.